As the world is becoming digital by every passing day the importance of online presence of businesses is increasing with the same pace. To make an effective online presence it is important to have professional website where one can showcase their products and services in an organized way. How WordPress theme design can affect your website credibility? Here we are talking about the design of websites, precisely. Website designs cover several different aspects within and due to various reasons it is highly important to choose an effective and right theme for website. Many things affect the credibility of the website, so it is important to choose the theme that can stand by all the odds and take you to the heights of success and pay your efforts off. What should you think before choosing a theme? Why organizations are punctual about their sales team? Why it is important for a salesperson to dress in a highly-professional way? Why from the way he talk to the way he present his documents should be in a well-organized way? This is one of the biggest reasons why every business should have a professionally looking website. Right from the images to fonts and links everything should be of high-quality. Broken images and messy designs create bad impression on visitors and they pass their experiences to others as well which will degrade your image by passing time. If you want to deliver right message to your prospects, you should follow a professional WordPress theme for your website. However it doesn’t mean that you have to jump for a premium WordPress theme. If you are on budget and looking for some affordable options to personalize your website in an appropriate and professional way, you can always go for the free WordPress themes. These themes are not well-equipped with all the functions and functionalities though you will get enough to streamline your website in a professional way. If you are targeting large audience, it’s better to choose a premium WordPress theme as you can customize it as per your needs plus you will get support that can help you out whenever you stuck while working on the themes. A website stating ‘Best Italian food in town’ as a headline and team it up with an image of some corporate people standing with a projector, does it appeal you? No it will not! It might bitter the user experience and they might leave your website the very next moment. When your audiences are looking for best Italian food in the town they are not at all going to respond on a corporate theme website, simply because they cannot relate to it. They are not getting that feel. Getting a relative feel is important to keep the visitor for long on the website so the purpose of business can be solved. Well, not having a professional theme for your business website and justifying this act is as odd as swimming in the office suits. Before you choose a theme for your business, make sure to select the one that can showcase your business in the best possible ways. It is important to keep the audience interest in priority too. For instance; your targeted audiences are the teens, you should keep your website theme trendy and fun-filled so they will find it interesting. If your targeted audience is corporate people, you should keep the theme highly professional and up-to-the mark. Make the navigation easy. If your audiences are able to locate what they are looking for within 10seconds after landing to your page, the chances of their stay on your website will increase by 2x and the possibilities of making purchase will increase too. Is the chosen theme support your brand? It is important to select a professional WordPress theme that allows you to add resources on your website. For instance; you have a business that offers interior designing services, it’s better to add resources like look-book and albums of completed projects on your website. This will improve the authenticity of your website plus your audience can see your work to decide whether to go with your services or not. Make sure to use same font throughout the website to look it highly-professional and trustworthy for your targeted audiences. 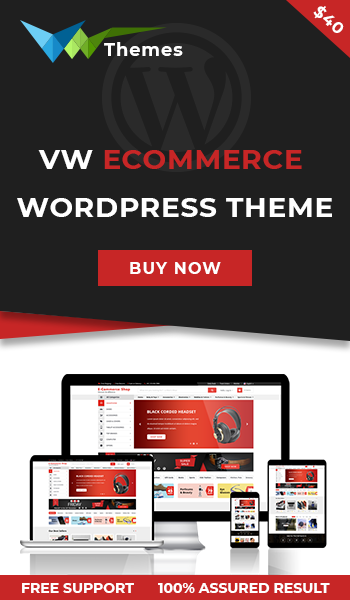 If you choose a WordPess theme that allows you to add several resources on your website with the help of which you can showcase your products and services, it will benefit you in the long-run. Over the time, the number of websites build by WordPress has increased with fast pace. As it is considered as one of the simplest platform that allows building website with minimal technical knowledge and giving exposure to various themes, businesses and individuals are turning towards this platform to meet their website needs. There are many different factors that bind together and make WordPress standout among the similar available options. Either it is about the free WordPress themes equipped with necessary features to premium WordPress themes that allows access of enormous excellent features and functionalities; everything about this platform is amazing to opt this for website building. 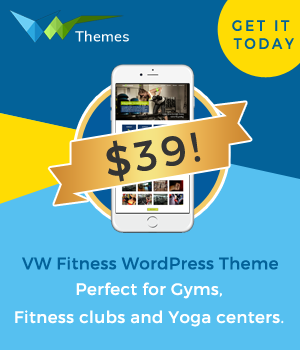 But instead of focusing the aesthetics of this platform and its themes you must take a moment and learn few of the basics to select the right WordPress theme for your business. In today’s world it is all about speed as we are all running out of time, don’t we? A little low speed can drive us nuts and we lose patience within seconds. 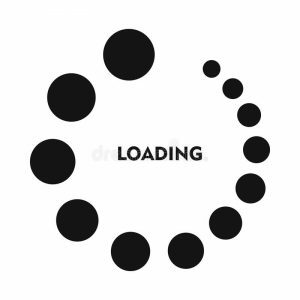 When we want everything to be done on a high-speed, who will love to wait on a website that takes time in loading? It’s all about fractions of seconds that can pull off the visitor’s interest from your website. So, it is important to choose a theme that loads fast. This will enhance the functionality of your website instead of degrading it by increasing the load time and lowering the speed. Load time and speed affects a lot of different aspects of website, so it is important to have a theme on your website that loads fast so the visitors have a smooth and friendly browsing experience. As mobile usage is increasing rapidly day by day, it becomes necessary to have a website that loads seriously fast. Before applying any WordPress theme to your website or blog, you can perform speed test to check its speed. There are several online portals that allow taking online speed test of websites. You should also view the source code of the theme that you have decided to consider. Take a look over the HTML, if you find several links to external scripts then the theme may take a lot of time to load. It is important to go through every single detail before finalizing theme; else it will become tedious later. It is easy and convenient to check the looks and view of your website on the browser you are using, but one need to understand that not all of their audiences are going to use the same browser to visit their website. Different websites and browsers will be used by different individuals to visit your website. To cater this need you should have a responsive WordPress theme that allows smooth access of website on desktop, laptops, mobile devices, and tablets etc. Those who don’t have a responsive theme need to develop a whole new website for the mobile users. As everyone is well aware about the wide usage of mobile phone, no-one can afford to lose their view on these devices. If the theme is not customised it will affect the overall ranking of your website too. Responsive themes can adjust their size, fonts, and the overall look of website based on what device it is opening on. You can easily test this functionality while selecting a WordPress theme for your business. Adjust the width of your browser at the time of preview and see how the theme adjusts itself with the screen. It is equally important to check the looks and functionalities of the theme on different browsers to ensure its smooth access over all. While everything have its own importance right from speed and loading time to responsiveness and browser support but what hold the final note to decide whether to go with the theme or not is the customization. If a theme is filled with excellent designs, have quick load time, and is responsive too but it didn’t give you the authority to customize, everything become vain. If you are not allowed to customize the theme, you should avoid it, no matter how appealing it seems to be. 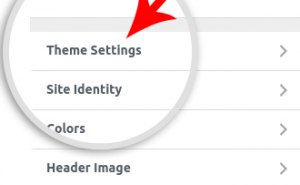 Go to the themes setting and check whether you can change the colour themes, fonts, and background images of the themes. If it allows you for customization, check how feasible the process is, do you need expert WordPress developer to make the changes or the theme have simple customization process that even a layman can do without any hassles. It is important to find a WordPress theme that allows you to add little details and to make huge changes on the website to make it more personal and to match it exactly with your offerings. It is important to have an elegant and trendy design to showcase your products and services over the web. If you have a clear design matching to your objective, your website will speak on your behalf. You can easily have a look of how the theme will appear by taking demo. Though WordPress is one of the most SEO friendly platforms on internet yet many of the themes that are badly coded can turn down the search engine friendliness of the websites. There are many themes that clearly mention as, “SEO ready” or “SEO optimized” in the description section; make sure to go with such themes. You can check the friendliness of those themes with search engines via SEO site tools or MozBar. If you are not a techno-savvy personal and managing the installation and customization of your website by your own, you should check whether you will get on-going support on the theme or not. This feature is usually not available for free WordPress themes. However, in most of the premium WordPress themes you will get support as well as updates. Once you have analysed the WordPress theme you have selected for your website on the basis of five mentioned parameters, its time to lock the theme up, and start installing the theme to glam-up your website. You can create an amazing website with the help of professional WordPress themes, all you need is to select a theme that suits best to your offerings, do some adjustments here and there, to give website a personalized touch; change fonts and colours, add images and content and you are all done to start your online journey.